Beautiful plants and vegetables keep growing in the garden. But in one corner is the herb garden.....and we didn't pay attention to it. 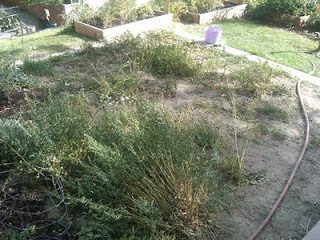 I am hoping to weed and amend with my fellow gardeners so that next spring we can plant herbs. Maybe next fall we can make herb oils.